As Christ representatives, take good care of ourselves that you are not easily persuaded to follow the multitude, doing what everybody does in the world of darkness; instead, continue to read your bible everyday; take into consideration the teaching of Jesus Christ, his kingdom words, hold fast to what you believe, trusting the Father, in the righteousness of Jesus Christ our Lord and Savior. Matter of fact, believers experience spiritual transformations every day, regardless of how many years they have been in the faith; so long as they continue to walk in the righteousness of Christ, they accelerate from one level of confidence to another, from glory to glory; therefore, when you practice what you read from the scriptures, inwardly, you do yourself a favor, by nourishing, and strengthening yourself in Christ, outwardly, you bear the fruit of righteousness, and through your attitudes, others perceive the Christ in you; therefore, endeavor to behave yourself wisely when among others, continue to trust in Jesus, no matter what you do, where you are or what goes on, inwardly and around you, set the right example for others. Beloved, if you preach the gospel to the world, minister the whole truth with brotherly and sisterly love, point out the dos and don'ts of the kingdom words, encourage them to come into the boat of salvation, walk in the righteousness of Jesus Christ, and everlasting life; avoid the cliches so that your words could relate the faithful counsel of what the Holy Spirit is saying to the nations. Amen and Amen! (KJV.) Proverbs 28:9 He that turneth away his ear from hearing the law, even his prayer shall be abomination. (23) Jesus answered and said unto him. If a man loves me, he will keep my words: and my Father will love him, and we will come unto him, and make our abode with him. Indeed, the answer to all situations is love! Where there is love, there are no hatreds, prejudices, accusations, robberies, murders, etc. ; instead, there is a mutual understanding among brethren, virtues of meekness, with one accord, having respect for one another, looking up for one another with peace; therefore, whether saved or unsaved, souls have the tendencies to love; however, to like someone with words alone does not cut the grass, unless you start the mower; therefore, express your affections, while you show the same gestures. How many times, in a lifetime, do you say or hear the "I love you" phrase from others; Hmm! As many times as we express it in a lifetime; the question is, do we mean what we profess? Maybe or maybe not! Love is poured out from the innermost spirits; If we care so much about others, it has to show in our gestures, how we deal with them; therefore, if you love someone, you will put them first, before yourself, honor their needs, do the best as you can to care for them; therefore, whenever you say "I love you." to someone, mean what you say, not in words alone, but also add some salt into the flavor, stirring up the heart of the person to whom you desire to love, endeavor to show them how much you feel to care about them by your actions. Beloved, For God so loved the world, that he gave his only begotten Son, that whosoever believes in him, should not perish, but have everlasting life, cf. John 3:16; therefore, love is an affectionate word, if you say that you love someone, mean what you say, by showing what you mean; and you can imagine how peaceful the world will be to sojourn. Jesus loves you, if you love him, listen and obey his words, walk in his righteousness! Amen and Amen! (10) He that is faithful in that which is least is faithful also in much, and he that is unjust in the least is unjust also in much. Hear this! Fear none of those things which thou shalt suffer; behold, the devil shall cast some of you into prison, that ye may be tried; and ye shall have tribulation ten days; be thou faithful unto death, and I will give thee a crown of life. Cf. Rev. 2:10; what a great piece of encouragement to believers! Therefore, If you have been called to the vineyard of Christ, trusted with stewardship, heaven requires you to be faithful to the call, stand firm in your office, duties, and responsibilities, no matter what goes against you, work your works; for the angel's weight your actions to perceive your faithfulness. Pay attention to your works, avoid distractions, focus on what matters, pressing on to accomplish your purpose; metaphorically, can a driver prevent an accident, if distracted from the roadways? I do not think so! Therefore, it is imperative to be mindful of what you are doing for Christ, utilizing your talents to the maximum degree, knowing that because of what you do, there is an impact of the goodness of Christ upon the lives of others; on the contrary, if you receive a call from Jesus, shabbily embrace it, reluctantly do his works, he knows about that aspect of you, therefore, how can he trust you with more responsibilities? Ponder over it! It does not matter who you are, who you work for, what you do for a living, the bottom line is, if you live on the earth, you belong to Jesus and work for him: cf. Psalm 24:1; therefore, be encouraged to be constant in your performances, cheerfully serve him by doing what you do for a living, for he perceives your commitments and rewards you according to your actions; if you prove yourself as faithful servants with what he has given you, he entrusts you with more responsibilities, when you accomplish your assignments, then he honors you as a faithful servant, gives you a crown of life. Beloved, I encourage you to never, ever let go of your calling because of hardships, persecutions, reproaches, etc., as you faithfully serve Jesus Christ, he is faithful as well to help you in the areas in which you need his strength and sustenance, just ask for his assistance, it shall be so for you! Amen and Amen! (KJV.) Ecclesiastes 8:14 There is a vanity which is done upon the earth; that there be just men, unto whom it happeneth according to the work of the wicked; again, there be wicked men, to whom it happeneth according to the work of the righteous: I said that this also is vanity. (1) Master, give unto your servants, that which is just and equal; knowing that ye also have a Master in heaven. Truthfully, as ye would that men should do to you, do ye also to them likewise, cf. Luke 6:31; if that is the case, then, be fair to others. In the book of Leviticus 19:35-36, God spoke to Moses specifically about fairness; if he is serious about how we ought to treat others, the unrighteousness, and judgments, weight, and measures, he is also watching to perceive injustices; matter of fact, because he is a righteous God, with an authentic spirit, he does not condone inequity, but defends those who cannot protect themselves and takes vengeance on enemies of righteousness, recompenses, cf. Romans 12:19; therefore, it is better for you to execute justice, even if you think that you are mightier to demean others, no one can stand before you or control your secret affairs. Especially, when it comes to incentives, are you being fair with salaries and wages, according to works? Ponder over it! If not, it is time to do the right thing! For the scriptures repeatedly speak about rewards according to works; if you are the boss over people, are your staff happy with the way you treat them? Or are you the do it or die, person? What we fail to realize, is that no matter who you are, what you do for or against others, there is a big brother sitting somewhere watching you, the only one who does not have a someone to report to is God, therefore, mind what you are doing to others, if man does not know about your secrets, Jesus, knows about what is going on in your heart and the angels are recording your works. Beloved, if you have children or siblings, you have heard this expression before, it is not fair! This is an alert assertion, attention drawing statement, that whatever happened or happening requires an immediate attention, and resolution; therefore, whenever your employees, children, brothers or sisters complain to you, about specific matters, patiently, listen to their grievances and injustices, do your part to rectify their issues, for, you are in charge of them on earth, and Jesus is in charge of you; be fair to others, for, Jesus will reward you according to your works, cf. Rev. 2:23. Amen and Amen! (15) Though he slay me, yet will I trust in him: but I will maintain mine own ways before him. Do you know that God is proud of those who walk in righteousness? Keep on reading; according to the book of Job; when the children of the LORD appeared before him, Satan also came among them; God initiated a conversation with Satan about a righteous man called Job; because of how proud God expressed his thoughts about Job, Satan obtained permission from God to pester with him, read the book of Job for the rest of the narratives, also, there are words of encouragement to strengthen your faith in God, when in sufferings. While Job was going through his trials, he trusted in God, stood firmly on what he believed, held up his integrity, prayed for the forgiveness of his family, blamed himself, but did not curse God, at a time, his wife said to him, "Dost thou, still retain thine integrity? curse God, and die; but he said unto her, "you speak like a foolish woman; what? shall we receive good at the hand of God, and shall we not receive evil? regardless of the intensity of his trails, Job did not sin with his lips but trusted in God, cf. Job 2:9-10; therefore, if there is anyone among us, who is going through the furnace of fires, I speak the words of encouragement into your heart, be still and know that Jesus is with you, trust in him, lean on his strength, this too shall pass away with the time, he is working things together for your welfare, trust in Jesus!. Beloved; walk in righteousness, if you experience unexplainable negative issues, no matter what may be, continue to trust in Jesus Christ, for, maybe heaven is proud of you! Amen and Amen! (2) Continue in prayer, and watch in the same with thanksgiving. Do prayer works? From personal experience, I will say absolutely, it does the job! The scripture encourages believers to pray without ceasing: cf. I Thes. 5:17; to watch and pray, cf. St. Matthew 26:41; so, never fight your battles physically, preferably, on your knees, supplicate them unto the Father, ask him for his strength, to take absolute control of your life; prayers are to be offered for both the bad and good purposes; therefore, if you have nothing to talk to Jesus about, you can still tell him of how much you love him, that you appreciate his redemption, grace, and everlasting life. I am pretty sure that believers pray at least once per day; however, if you have not yet scheduled a prayer time with Jesus Christ; I encourage you to create a space on your routine for it; you may choose to offer prayers inwardly or outwardly in a conducive environment, as often as you decide to speak to him; if you incorporate severe prayers into your life, initially, spirits of hindrances from the enemy will try to stop your efforts bringing on deceptions and slothfulness attitudes; therefore, when it is time for praying, suddenly, something negative comes upon your thoughts to drive you away from the presence of the Holy Spirit, if you encounter such an obstacle, rebuke it away, do your prayers first before you attend to distractions, for, no obstacle is insurmountable to a prayer warrior. Beloved, stand firmly in faith, remaining in prayers, persevere for your efforts are not in vain, your prayers are forceful, accelerating your soul from one lower realm of the spirits to the higher level, the more you pray, the more comfortable it is for you to maneuver your ways through the visions; also, as you pray, give thanks and glory to Jesus, for what he has done, doing, and will do for you in the coming minutes, hours, days and forever and evermore. May you find favor in the eyes of Jesus! Continue to Pray! Amen and Amen! He that hath an ear let him hear what the Spirit saith to the churches. Rev. 3:13. Peace and Love be unto you. (15) Therefore, it is no great thing; if his ministers also be transformed as the ministers of righteousness; whose end shall be according to their works. Often times, when the unexpected phenomenon happens to devastate certain areas of the world, without knowing what to do, we shift the blame on others; just a witticism; when God questioned Adam and Eve, the reason why they disobeyed his instruction, not to eat the forbidden fruit, Adam said to him, the woman whom thou gavest to be with me, she gave me of the tree, and I did eat it: so God said to Eve, what is this that thou have done? She replied, the serpent beguiled me, and I did eat it; cf. Genesis 3:12-13; the blame game went on and on...at the end of the interrogations, Adam, Eve and serpent were punished for their sins: there are circumstances of the sudden evil works, overshadowing the earth momentarily; my dear reader, if God should question you about what is going on with this world, what would you say to him? Most people will pass the blame on the devil, some to their leaders, others to the climate, what about your awareness? Is it really the devil behind our troubling world? I will say 'Yes!" However, we all know that he is a spirit, who does not have the equal power to God, to know everything, be everywhere at the same time; therefore, to effectively torment people lives, he uses demonic agents and infiltration spirits, that can coinhabit with the human soul whenever needed to execute his evil plans; therefore, it is essential that believers discern his dubious ways, how he can manipulate his powers to torment souls into failures and damnation; many would say I do not want to talk about him, well! That is up to you! But hear this! 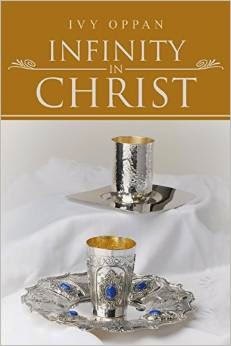 If you are a believer, he speaks with his agents about you, therefore, be spiritual; for there is no limit to what he can do to anyone; if he tempted Jesus Christ, the Son of God, who fasted for forty days and night on three different occasions, imagine what he can do to a modern day believer, who does not believe in fasting? Remember he was a perfect angel of God, before he rebelled, cast down from heaven to earth; therefore, he can appear to believers as the angel of light, if care is not taken; many will believe his messages as authentic from God; therefore, when you receive spiritual messages, ponder over it, check the initiatives, to discern if it was from Jesus Christ, if not, discard it as a deception from him, also, we are spirits, which depends upon the spiritual guidance from God, our creator, the enemy knows about that as well, therefore, be on the alert, regarding prophetic dreams and visions. Ministers of the gospel, be encouraged to always walk in the ways of Jesus Christ, never allow infiltration spirits the power to influence your thought processes, not to speak the truth of the Kingdom words, Jesus is the way, truth, and life, no one comes to the Father, but by him. cf. John 14:6 Amen and Amen! God bless you! (KJV.) He layeth up sound wisdom for the righteous; he is a buckler to them that walk uprightly. (35) And she conceived again, and bare a son: and she said, Now will I praise the LORD: therefore she called his name Judah, and left bearing. What a good, good LORD! Admittedly, believers have testimonies regarding what he has done for them; yet, how many, take the time to praise him; matter of fact, some people do not want others to find out what he has done for them; therefore, today the voice of the Holy Spirit is encouraging you to give praises and thanks to the Almighty God, for his goodness and mercies never fails but endures forevermore. At times, believers spent more time to supplicate before the Lord than to sing songs of praises to him; the secret is, if you need his blessings, praise him; for, God, inhabitest in the praises of his people, cf. Psalm 22:3; therefore, for him to pay attention to you, listen to your prayers, you must first acknowledge him as the Almighty, sing songs of praises unto him, then, supplicate, and give thanks to him; many times, believers approach him forcefully with prayers; the truth is, this type of approach turns him away from listening to you; remember what Jesus told his disciples; read Matthew 6:7-8; "your Father knows what things you have need of before you ask him"; therefore, humbly praise him, for as you give him the glory, your heart desires are fulfilled to manifest at the appropriate times. About the test; another characteristic of the LORD is, he is justifiable in his ways; therefore, as a true Christian, be fair to others, never play favoritism for or against souls; for the LORD, does not tolerate injustices: Jacob, married two sisters, Leah and Rachel; however, he loved Rachel more than Leah, Genesis 29:31, therefore, in the early stages of the marriages, God opened up Leah's womb to have children for Jacob, but Rachel was barren for a while before he had mercy on her, to have Joseph and Benjamin; therefore, God is in the midst of what is going on in your family as well as your workplace, if injustices are against you, do not worry about a thing, instead pray your problems to him in the name of Jesus Christ, your troubles are his, it is already taken care of for you. Beloved, since the LORD justified Leah in her marriage to Jacob, she had four sons, name them according to what God had done for her; read Genesis 29:31-35; gratefully, she called the name of her last son Judah, said, now I will praise the LORD; therefore, if the LORD is doing wonders in your life, it is imperative for you to paise him, for he delights in your praises, as you praise him, he will do more for you than you can imagine; what is it that you want from him? Healing, victory, blessings, etc., praise him, for when praises go up, blessings come down; King David wrote; I will bless the LORD at all times: his praise shall continually be in my mouth. My soul shall make her boast in the LORD: the humble shall hear thereof and be glad ..read Psalm 34; the LORD is good to all, praise him! Amen and Amen! He that hath an ear; let him hear what the Spirit saith to the churches. Rev. 3:13. Peace and Love be unto you! (KJV.) Proverbs 27:2 Let another man praise thee, and not thine own mouth; a stranger; and not thine own lips. (21) Ye cannot drink the cup of the Lord, and the cup of devils, ye cannot be partakers of the Lord's table, and of the table of devils. God will understand! Does God understand? If he does understand the ways of man, how long does he tolerate waywardness? It is an exciting topic to ponder over. In the days of Moses and the Exodus, the children of Israel murmured against God, as much as he loves them, he chastised them, sent a fiery serpent to bit the people, many died, cf. Numbers 21:6; does God understand that his loved ones have to complain about his kindness? If he does tolerate ungratefulness, why would he chasten them? Noah, the servant of God, was called to warn his generation, to repent of wickedness; the people continued to do evil and never paid attention to him; therefore, God instructed him to build an ark to inhabit his family and a few living things of the flesh, cf. Genesis 6; the flood waters came and destroyed the whole earth, except the contains of the Ark; therefore, does God understand, when man rebelled chooses to live in sin? If he delights in ungodliness, he wouldn't have destroyed the earth with rainwater. The same way, God, said, the cry of Sodom and Gomorrah is great because their waywardness was very grievous, he descended to the earth, perceived what was going on, cf. Genesis 18:20-33; after the evidence is proven, he rained brimstone and fire out of the skies, destroyed the two cities; therefore, in this present times, does God really understand that we live in a different age, therefore, what we do before him, is our own business, should not matter to him? If he does, it is because of the blood grace of Jesus Christ, note this; forgiveness is only profitable to the man on earth; therefore, never delight yourself in waywardness, walk in righteousness to everlasting life. About the text, believers partake of the Holy Communion, which represents the blood and body of Jesus Christ; drink his blood (juice or wine), eat his body (bread or wafer), together at his dinner table; after we partake the sacraments, should a believer go to the public alcoholic parlour, drink from the contaminant cup of waywardness? By practicing these things, a believer's heart is not entirely with Christ; for believers, cannot partake of the Lord's table and the table of ungodliness. Beloved, no one knows for sure the plan of God, for solving the issues of ungodliness, injustices, that are overwhelming the earth; many have turned the blood grace into blood disgrace, Romans 6:1; therefore, my encouragement to you is, to pray, read the scriptures daily, love others, live by the biblical principles, never worry about anything, leave everything including your life in the hands of Jesus Christ our Lord and Savior. Amen and Amen! Be good! (KJV.) Proverbs 23:31-32 Look not thou upon the wine when it is red when it giveth his colour in the cup when it moveth itself aright. At the last it biteth like a serpent, and stingeth like an adder. King Solomon, the preacher wrote; Keep your heart with all diligence. For out of it, are the issues of life. Cf. Proverbs 4:23; therefore, it is imperative for you, to make an effort to guard your heart against the unnecessary worldly desires, the materialistic clutter that leads a soul to unprofitable works. Interestingly, when in the hay days, one does not think about the future and the consequences of their choices, until the maturity years, many of us, have been there, done that, now, wished that we can start life over again and do better; however, the past is over and done with, what is gone is gone for good, the future is before you, pick up the leftover pieces of your life, work it out again with Jesus Christ, hear this! Life is not over for you yet; your best years are ahead of you to live it to the fullest, enjoying yourself. About the text, in life, no one can tell of anything by appearance, for, the physical is not really what it is in the spiritual; in fact, we are spirits, living in earthly bodies; when the soul departs the body, it is no longer identified as a person but a corpse; therefore, it is the spirit that quickens the flesh profited nothing, cf. St. John 6:63; you can tell of an individual by their attributes; if a person has a good heart, they exemplify fruits of righteousness, if, of a contrite spirit, their negative behaviors identify them; how can you identify characteristics? It is by behaviors and connotations, read, St. Matthew 7:16-20; therefore, it is essential for you, to think wisely about your words and actions, allow the Holy Spirit the chance to guide your thought processes, guarding your heart against evil works to bear good fruits. Beloved, the heart is the mechanism of the body, the center of good or evil works; therefore, first of all, guard your mind against infiltration spirits, for, once they penetrate into your brain, instigate evil actions, if care is not taken to cast away those thoughts, what they dictate for you to do, can flow into your heart to act likewise; therefore, guard your thought processes against anything that can influence you negatively, contaminate your spirit, use you as an instrument of evil; note this! If your heart is right, bear the fruits of righteousness, if it is not right with Jesus Christ, pray, ask him to cleanse your spirits. He loves you! Love your neighbor as yourself! Peace and Love be unto you! God bless you! Amen and Amen! (KJV.) Proverbs 12:20 Deceit is in the heart of them that imagine evil, but to the counsellors of peace is joy. (12) Therefore I take pleasure in infirmities, in reproaches, in necessities, in persecutions, in distresses for Christ's sake: for when I am weak, then am I strong. It is an exciting world, there is nothing new under the sun; therefore, no matter what you perceive or hear about, of the events of this world; if you refer to the scriptures, chances are, you will find out that the same type of thing or similar has happened before in generations; therefore, you live in a world where history is repeating itself on a daily basis, so, never take a day or any moment of your life for granted, for your style of living is creating its yesteryear for your future lineage to know that you lived a purposeful life. About the text, believers live by faith; however, often, to live a godly life in Jesus Christ, they suffer persecutions for righteousness sake, cf. II Timothy 3:12; therefore, when you do the will of Jesus, you are a target to persecutors; as it happened before to Jesus Christ, and the Apostles, it is still happening to believers; therefore, if enemies demean you through persecutions and reproaches for what you do for Jesus or your faith in him, remember what he went through for your salvation, and be strengthen in him, never backslide from what you believe; on an addendum; never take in reproaches bitterly, instead, take it as sweeter than honey for manifestations of blessings yet to come, for Jesus went through the same thing, he did not allow evil works the chance to hinder him from fulfilling his assignment; therefore, if you face persecutions for righteousness sake, be encouraged, that you are in Christ Jesus, the same thing happened to him before, he stood firmly in faith, overcame death with victory, gave you salvation, therefore, your suffering is for a purpose, trust in him to bring it to pass, you are victorious in him. Beloved, a word of encouragement from Jesus Christ to believers who are being persecuted for righteousness sake is: "Blessed are ye when men shall revile you, and persecute you, and shall say all manner of evil against you, falsely, for my sake. Rejoice and be exceeding glad for great is your reward in heaven: for so persecuted they the prophets which were before you. Matthew 5:11-12; therefore, if you are being victimized by enemies for being a man or woman of God, you are not the first person to suffer this type of harassment, it happened before to those who lived in righteousness; continue to have faith, in Jesus Christ our Lord and Savior, you will be rewarded according to your works. Amen and Amen! God bless you! (KJV.) Proverbs 17:5 Whoso mocketh the poor, reproached his Maker: and he that is glad at calamities shall not be unpunished. (12) That ye be not slothful, but followers of them who through faith and patience inherit the promises. Incredibly true! Faith without patience leads to failures; unfailingly, faith with patience manifests blessings. Case in point; the LORD said to Abram, get thee out of your country, from your kindred, and your father's house, unto a land that I will show thee, read Genesis 12; realize that Abram obeyed the LORD, without the idea of where he was going, journeyed from one place to another; followed his leadership, and through faith, perseverance, forbearances, by and by, he inherited the promises. Also, on different occasions, Father Abraham's faith was tested by the LORD, triumphantly, he overcame his testings, pursued the promises, eventually, received the blessings, at a time; the LORD appeared unto him, gave him a word of hope about his lineage, Genesis 15:4, confirmed the birth of Isaac, cf. Genesis 17:19; however, in both agreements, the waiting period in between the promises and the fulfillment of the covenants, lingered; to the point whereby out of frustration, Sarah, Abraham's wife was impatient, gave him Hagar her maidservant to have a child; therefore, at times, waiting upon the manifestation of any covenant, can be a testing period by itself; for, it is the time when the enemy releases his arsenals against the fulfillment of the promises; therefore, if there is anyone among us, waiting for the satisfaction of a word of hope, be encouraged to trust the Lord. He is mindful of his words; read Proverbs 3:5-6, and have patience, continue to stay on the course. Furthermore, Sarah, Abraham's wife, gave up on the promise of Isaac because it tarried, Ishmael was born, read Genesis 16; because Sarah was impatient, to wait upon the fulfillment of the birth of Isaac, solved the issue through carnal thoughts; until the present times, there has never been peace between the half-brothers; therefore, to say I have patience, is just a belief, patience has to be exercised through the sufferings of a waiting believer, believing, that the promise is real, worth the while, hold on to it, trusting in Jesus to receive the assurance; eventually, Sarah gave birth to Isaac, read through Genesis chapter 21; blessed assuredly, if you have a word of promise from Jesus, and not from the lying spirits of Satan, trust him to bring it to pass at the appropriate time, for, he respects his promises above his name, and watches over them to perform; however, the one out of the many aspects of God is, he can alter any of his plans, at any given time, according to his purposes..
Beloved, therefore, if you have a word of promise that has not manifested yet, pray, double check with the Holy Spirit about what is going on with the deal, you might be surprised with the outcome, faith with patience. Jesus loves you! Love your neighbor as you love yourself! Amen and Amen! He that hath an ear let him hear what the Spirit saith unto the churches. Rev. 3:13. Peace and Love be unto you! You are blessed, walk in your blessings! After faith is firmly established in the life of believers, there is nothing that is impossible for them to do, cf. St. Matthew 17:20; assumable, the followers of Jesus Christ, believe in him; however, to exercise that belief to a higher degree, above and beyond the ordinary trust, to stand firmly on what you know is right, for or against any type of obstacle, one has to have an assertive kind of faith, which is unshakable and unwavering regardless of the circumstances. To have unshakable faith is, to possess the kind of belief that is strong and firmly established in Christ, that whatever comes along a path, a believer will not backslide or fall away from what they believe in his righteousness, when faith is unshakable, others perceive it works; so, build up your confidence by reading and hearing of the word of God, cf. Romans 10:17; prepare yourself just in case, you have to take a step of faith, as anointed David did for Israel, cf. I Samuel 17; therefore, be encouraged to stand firm, with a solid belief, in the righteousness of Jesus Christ our Lord and Savior, there is power in you. Secondly, the unwavering faith is when one's faith is continuously steady, stable, moving along in righteousness; when you hang on to what you believe, no matter what others say about you; this type of trust comes into play when in difficult times, when suggestions from the infiltration spirits can advise you to throw in the faith towel and walk away from Jesus Christ; therefore, have faith in him no matter what you face in this world; anchor your strength in him, know for sure that he is with you all the time, and you are alright in him; for, as a believer, without hope, it is impossible to please him, cf. Hebrew 11:6. Never allow any storms of life the chance to toss your belief to and fro, but rather hang on with Jesus, he is inside the boat with you, so, it is well with you! About the text, it is proven, that believers grow from faith to faith, as they mature in principles, the power of Christ is revealed through them for the world to see his glory, cf. Romans 1:17; Apostle Stephen, was full of faith and potential, performed wonders and miracles among the people; so, if you have been baptized with the Holy Spirit, there is a power in your faith, as you exercise your authority in the name of Jesus Christ, cf. Acts 3:1-9; mountains will move, demons will obey you, you will also perform miracles, signs, and wonders. Amen and Amen! Peace and Love be unto you! You are blessed, walk in your blessings! He that hath an ear let them hear what the Spirit saith unto the churches; To him that overcometh will I give to eat of the tree of life, which is in the midst of the paradise of God. Rev. 2:7. Amen! The answer to the inquiry is that the Lord apportions unique attributes and talents to an individual for the welfare of others, for the smooth running of the establishment of God, upon the earth; for instance, if everyone was given the same wisdom, to be a physician, who will be the patient? Or to work a white collar job, who will operate in the blue one? Therefore, we are equally important in this world, and this is how the Lord made it be; never think inferior about yourself among other peers, cherish who you are, and what you do for a living while displaying your authentic values to the glorifying of the Lord, your creator; whether you are a believer or not, know this fact that you have an attribute of quality, in your innermost spirits, that is useful to others. The same concept applies to the workers in the vineyard of Christ; many are called, but few are chosen, cf. St. Matthew 22:14; among the few, are faithful servants, who dedicate their services to the will of Jesus; my question to you is, are you servicing Jesus wholeheartedly? If you are, I say bravo to you! Keep up the good works! If you would like to be of service to him, but not sure of what to do, stop the worrying, turn to your inner man for the solution; here are some clues to what you might like to service the Lord; do you love to sing songs of praises to yourself? If you do, be encouraged to join your church Choir! Do you like your own house to be cleaner? If you do, use the same type of service in the house of God! If you want to share your blessings with others, give generously to goodwill! Read Romans chapter 12, for further study, the benefits of the Lord are meant to be shared with others, though initially they were provided for you. Beloved, it is the spirit that quickeneth, the flesh profited nothing, cf. St. John 6:63; therefore, you have the second spirit of the Lord, you are priceless in his eyes. However, he requires you to use the blessings, that his glory to be revealed through you; so, be encouraged to render services to others with his gifts; whenever you pour out of your spirits, what Jesus Christ has given you, he replenishes you with more anointing to continue to do his services; however, beware of the evil drawbacks when doing his purposes; for at times, the demonic infiltration spirits rise against you, to discourage your efforts, but never pay any attention to those pestering spirits, instead focus on Christ alone, he is with you, he loves you and reward you, per your works. Amen and Amen! He who that hath an ear, let him hear what the Spirit saith unto the churches. Rev. 3:13. Peace and Love be unto you! Amen! You are blessed, walk in your blessings! (24) And when they were come to Capernaum, they that received tribute money came to Peter, and said; Doth not your master pay tribute? It is the choice of man, to obey or disobey established rules and regulations; therefore, as a true Christian, follow the dictates of the Holy Spirit, do whatever he directs you to endeavor, never use common sense to solve issues of life that require the divine intervention of Jesus Christ our Lord and Savior. Be encouraged to obey the law of the nations in which you reside, live a peaceful life. About today's text, Jesus Christ and his disciples went to the city of Capernaum, the people that received tribute money came to Peter and asked him, do your master pay tribute? To unravel the underline thoughts of this question; ponder over it for a moment, first of all, for them to ask Peter such an inquiry, points to the fact that, conceivably, they acknowledge Jesus as a deity, a person of a kingship, and such an individual is considered as a Levite, who do not pay tribute or levy; for usually, the collected tribute is for their welfare, cf. Numbers 7:5; therefore, the tribune collectors were skeptical about the matter, if he was to pay or not to pay for the levy, to approach Jesus for the fees, so they went to Peter with it instead, you see! It is not about the levy, it is about what is the right thing to do or not to do; therefore, always ponder over your actions and reactions to do what is rightful in your eyes. The second fact is, tribute money is collected from strangers, who enter the gates of one state to the vicinity of another; should we call it a toll? I think it is an appropriate word to use for such an attitude, but the truth is, Jesus Christ is a Sovereign and can refuse to pay the toll collectors, but for the sake of peace, he obliged to the rule; when you continue to read through to verse 27, you will discern that something else happened to the instance for the glory of God; at the time, when Peter was approached by the toll collectors with the issue, presumably, there were no available funds in the coffers of the disciples to pay for the fees. Therefore, a miracle happened, Jesus, asked Peter to go to the sea and cast a hook, take up the fish that first comes up, opened up its mouth, there should be a piece of money to take, and give to the toll collectors; If you believe in Jesus, nothing is a coincidental, no matter what comes up against you, it is to his glory, he can change negative intentions into good ones, cf. Romans 8:28, a situation that was supposed to make Jesus and his disciples uncomfortable, create a scene of rebellion against the authorities of Capernaum, became a supernatural case to those who saw Peter performing the seashore, fish and the coin miracle; therefore, always endeavor to obey the voice of the Holy Spirit, when you do the right thing, miracles can happen through you as well. Beloved, be encouraged to live by the principles of the scriptures and that of the nations in which you live; if Jesus the son of God, who had the authority to do and undo all things, obeyed the law of the land for peace sake, how about you his believer? It is godly on your part to do likewise! To ice the cake; some believers are confused as to why they ought to pay tithes; to pay or not to pay for it is your choice; in case you are confused about the issue, my advice to you is, to obey what the scriptures dictate to you; follow the role of the thumb, pray about it, listen, and obey what the Holy Spirit ministers to you about the matter, do your part, trust and leave the rest in the hands of Jesus Christ our Lord and Savior. Jesus loves you! Amen and Amen! You are blessed, walk in your blessings! (KJV.) Proverbs 7:12 For wisdom is a defence, and money is a defence, but the excellency of knowledge is, that wisdom giveth life to them that have it. (8) For bodily exercise profiteth little: but godliness is profitable unto all things, having promise of the life that now is, and of that which is to come. Physically, heaven knows that one needs to exercise their bodies, because, it is beneficial for the well-being, good health, and longevity; therefore, make this as an essential characteristics, that you will observe what you consume into your body on a daily basis; since there are many so call nutritious foods out in the world but are poisonous in disguise for human consumption, it is better to eat wisely, drink a lot of fluids, preferably water, excluding the sugar beverages, and of course, exercise your body, walking the walks, the push-ups and downs, doing the everyday movements. Despite all that helpful physical performances, you still need to exercise the spiritual inner man, which is beneficial to both the mortal bodysuit and the spirit; between the both, the soul is your most imperative aspect of life, without the breath of God, the sense of life, the body is lifeless; so as you take good care of the mortal body, never forget to energize the immortal spirit that is within your heart; if you ask me, how can I do so? My answer to you is, to spend sometime in reading the Bible, pray every day, sing songs of praises and give thanks to God, through Jesus Christ our Lord and Savior, as you practice these things, trust in him, that there is nothing on earth that can overpower you from the world of darkness or overshadow the glory of God, in and upon your life, read about the mighty promises of Jesus Christ to those who believe in him from St. Mark 8:34-38; 16:17-18; today, my question to you is, are you a believer of Jesus Christ? If you have not yet given your heart to him, it is time to surrender it to him; on the other hand, if you are a believer, be encouraged to exercise your beliefs! Beloved, for example, many will prefer to spend hours and hours at the gym, utilizing the workout tools and gadgets, than to spend a quality time, studying the scriptures; the body exercise is right for you as well as your future with Jesus Christ in eternity, therefore, pay more attention to where you are going after the life on earth, exercise a God-fearing life, it is more important than anything else you desires to do in this world and worth your while; if you live in righteousness, you can ask Jesus of anything in his name, you will receive it, cf. St. John 15:16; including a new muscle-like body, good health, employment, heart desires, and blessings, on the addendum, Jesus will give you the freebies of eternal life; therefore, endeavor to prioritize your preferences, spending quality time with Jesus Christ, through the reading of his words which empowers you to live in godliness into everlasting life. Love one another as yourself! Jesus loves you! Amen and Amen! He that hath an ear let him hear what the Spirit saith unto the churches. Rev. 3:22. Peace and Love be unto you! Amen! God bless you! (KJV.) Ecclesiastes 2:11 Then I looked on all the works that my hands had wrought, and on the labour that I had laboured to do: and, behold, all was vanity and vexation of spirit, and there was no profit under the sun. King Solomon loved the LORD, walked in the statutes of his Father David, at a certain time, the LORD appeared to him in a dream by night, said unto him; Ask what I shall give thee? Imagine that! If it is you, what would you ask for? Have you ever thought of it, to include in your thoughts, that if you are a true Christian, Jesus might visit you in a dream with such a question? Solomon said to the LORD, read, I Kings 3:5-9; because of his kingship, he specifically asked the LORD for an understanding heart to judge the people, to discern between the right and evil; for he knew that he needed to possess these two attributes to successfully rule over the people; he sought first the things of righteousness, then, the LORD gave him the riches of this world that he did not request for; therefore, what Jesus said to the people about Matthew 6:33, is a truthful statement! The LORD was very pleased with Solomon's petition; refer to I King 3:10, because it was truthful requisition to the glory of God, and it was not a selfish request, his speech pleased God, second, the King, asked for the godly attributes to function in righteousness, and did not ask for the things of this world; you see! It is the heart issue; therefore, when you present your prayers before the LORD, make sure that your petitions are within the intentions of Jesus Christ for your life; if you continue to read the text, you will find out what the LORD promised to give to King Solomon after his heartfelt prayers touched his heart, read on from verses 11 to 14; the fact is, that the LORD wants to provide you with, your heart desires, and even much more than you ask for, the point is, you need to do the rightful prayers, in the will of Jesus Christ our Lord and Savior for your life; if you are already using the format for your prayers, you are doing the right thing, be ready for your blessings! Beloved, about the text, the voice of the Holy Spirit is encouraging you to ask for wisdom, if you need any; Jesus is ready to give it to you, if only you will ask him, read St. Matthew 7:7-12; I do not think that the human cup of wisdom is ever full not to receive more of its nutrients, the brain is capable of receiving information, upgrades, and acquiring knowledge even in the later days of our lives; therefore, it does matter what your profession is or how mature you are in life; if you ask for the wisdom to function in righteousness, and not to do evil works; Jesus will give it to you! Amen and Amen! He that hath an ear; let him hear what the Spirit saith unto the churches. Rev. 3:13. Peace and Love be unto you! God bless you! (24) But he turned and said unto Peter, Get thee behind me, Satan: thou art an offense unto me: for thou savourest, not the things that be of God, but those that be of men. A million times, in a lifetime, there are unforeseen invincible hurdles, potholes, twist, and turns to overcome; many of these challenges are necessary for the human spiritual growth, and cannot be avoided by the human efforts, but by prayer for divine intervention; if you ask a question, why not with human strength? I will say that Jesus Christ, knows about the life of his believers before they experience the impact of predicaments, regardless, he does not stop the mishappenings but encourages, strengthens them to persevere through the sufferings with faith in him, that they are victorious; therefore, as you can not tell what the future holds, you cannot prepare to fight a battle that you are not aware of, except to believe, and stand firmly in the victory of Jesus!. In other words, the dooms of life, are with an underline meaningful purposes, which is to gain the spiritual power through the processes, control ourselves not only to overcome the predicaments but also to be transformed for the fulfillment of destinies; therefore, as a believer, no matter how many times you came across the path of uncertainties, and suddenly, be encouraged, that life is not over for you, view it as a test of faith, trust in Jesus, that there are many blessings waiting for you on the other side of the hurdle, when the sun rises upon your soul, press on, Jesus is saving the best benefits for you at the end of your relays, he will strengthen, establish and settle you. About the text, Simon Peter, a disciple of Jesus Christ; so why did Jesus rebuked, and called him a Satan in this case? I believe that Jesus was not speaking to Peter himself, but to that spirit of a hindrance which tried to use him to stop Jesus from going into Jerusalem to face the dilemma for the fulfillment of his assignment, refer to the same St. Matthew 16:21; secondly, Peter, thought of the whole scenario in the flesh, said the right words to Jesus, because he loves him so much, to let go of him, so he tried to convince him not to enter into Jerusalem if there are obstacles before him which can threaten his life; therefore, to think of it in the flesh, he rebuked an impediment for Jesus, in the spiritual sense, he placed himself as an obstacle before the fulfillment of a fate, so, in any case, it is better to pray to Jesus for directions than to seek human counsels before your endeavors; at times, to be silent is the best remedy for spiritual agendas. Beloved, in this life, no one can determine their fate without Jesus; therefore, the best thing to do when you need to make decisions is, to incorporate Christ, seek to know what he has in store for your life, never assume anything or use human judgments and imaginations to decipher the code of who you need to be or what you need to do in life, but allow Jesus the chance to be the Jesus in the center of your life with grace, peace, joy and everlasting life. Peace and Love be unto you! Amen and Amen! To him that overcometh will I grant to sit with me in my throne even as I also overcame, and am set down with my Father in his throne. Rev. 3:21. God bless you! Interestingly, it is human nature, to desire one thing or another, every soul has some want within the walls of their heart, that they would like to either fulfill, acquire or enjoy in life; my question to you is, what is your most urgent heart desire? If you are not sure of what it is, I encourage you to search your heart, while meditating on the scriptures; allow the Holy Spirit to minister to you, you will discern it! There are so many hearts desires that one can lay upon a heart to seek after; regardless, there is a most critical desire among the attractions, that anyone should be concern about, but are not; and that is the kingdom preference; to ponder over the issue; truthfully and patiently answer the following questions to your conscience: if you have to choose one of these two establishments of fun, which one would you prefer, going to church to worship God, versus, a theatre to watch a movie? To visit, and pray for someone who is sick, versus, standing in the queue to buy a ticket to watch a ball game? The list can go on and on, however, whichever, whatever your preference may be, the bottom line is what you wish to do, is what you do, and what you do, tells a lot about who you are in this world, nothing else, nothing more. Therefore, where your treasure is, there will your heart be also; the solution to the above text is with you, the things that you desire to acquire in this world, that you toil for, hang on to, are your heart desires, but the kingdom preference is to love God with all our heart, cf. Mark 12:30; also, to seek first, his kingdom and righteousness, Matthew 6:33; so, to mark the above quiz, I would say, a believer should go to the presence of God, worship him in the beauty of his holiness, there is a free grace, happiness, peace and everlasting life in him; secondly, a believer should pray for the sick first, cf. James 5:16, before the entertainment; for there are earthly and eternal rewards for doing the will of Jesus Christ, and awards according to what we do for him, it is the kingdom way of living as well. Beloved, if I may ask you, what is the treasure of your heart? The answer is in your prerogatives, think about your life, whatever you do, align your desires with that of Jesus Christ, surrender your heart to him; living by his words, never worry about the things of this world, do goodwill to others, for, there are treasures in the heavens for you to enjoy forever and evermore. Amen and Amen! Love one another as you love yourself! Jesus is coming back again soon! Peace and Love be unto you! Enjoy the blessing of God upon your life! (16) Know ye not, that to whom ye yield yourselves servants to obey, his servants ye are to whom ye obey; whether of sin unto death or of obedience unto righteousness. From dawn to dusk, every day of our lives, the mind is a war zone between the voice of the Holy Spirit and demonic infiltration spirits; this battle is a neverending affair which goes on and on in every human life; these two spiritual powers, can either lead a person to do evil works, or to do good jobs. The dubious thing is, the demonic infiltrations spirits can deceive an individual to believe that what they said to him/her is the truth of matters, which should be considered as gestures, whereas, it is a make-up to accept deceptions from their master the devil; therefore, it is essential that you learn how to discern the difference between the two spiritual voices, not to allow your mindset to wonder, to and fro, like a spiritual yo-yo between the two views. Fruits of thoughts, to differentiate between these two voices, discern the underline thoughts, and what the spirit is saying to you; for example, if you receive an opinion about any advice, never be hasty to act according to its dictates, before you do anything, give it a second thought; secondly, question the motives of your heart over what you are about to do, ask yourself, it this a useful or a useless intention, before you act upon it; if you conclude that it is beneficial, by all means, go with it, if not, dismiss it as an unfavorable to you. Beloved, in another aspect of man, he is a vessel of spirits, the original sense is the breath of life from God, cf. Genesis 2:7; the second spirit, is either of these two, the Holy Spirit from Jesus or an evil spirit from Satan; therefore, be spiritual awareness, not to allow the second spirit from the devil the chance to infiltrate your heart to obey him; in the same aspect, the Holy Spirit is a friend of the believer, who counsels, ministers, leads, comforts, full of the goodness of Jesus; once you diagnose the difference between these two powers, it is your choice to allow either of the two the opportunity to work with you. However, if you choose to obey the voice of Jesus, you will not lose anything but have everlasting life, on the flip side of the coin, if you prefer to listen to the devil, obey his deceptions, at the end of your life, the outcome of your actions and reactions while on earth, might not be favorable for you to inherit the promise of eternal life with Jesus Christ our Lord and Savior; therefore, take control of what you think about to know the difference between the good sense and the wrong advice, do not listen to the devil to obey him, instead look to Jesus Christ, walk in righteousness unto eternal life. Amen and Amen! Jesus loves you! He that hath an ear let him hear what the Spirit saith unto the churches. Revelation. 3:22. Peace and Love be unto you! The blessings of the LORD continue to be upon your life! (KJV.) Proverbs 21:19 A servant will not be corrected by words: for though he understand he will not answer. (12) Fight a good fight of faith, lay hold on eternal life, whereunto thou art also called, and hast professed a good profession before many witnesses. There comes a time in life, whereby, a person has awakening thoughts of what is going on with his or her life if you are not yet there, don't worry, keep on enjoying yourself, maybe one of these days, you will; when you get to that point and time of life, the mother nature light bulb lights up your thought process, to think about what is going on with you, prioritize what is essential in life, over what is not really important to you. Analogically, life is like the holding of an unboiled egg, be careful, for if you squeeze it too hard, it will squash into your hand; if you drop it on the ground, you cannot recover it messes to put them back together again; therefore, as you make merry on earth, the biological time clock of your life is also ticking the minute by minute, your time and years lost cannot be retrieved, therefore, think about what you are doing now, and the days ahead of you, when you will retire and cannot move around as swiftly as you do now, when the sun begins to set down upon your days, ask yourself, a few important questions, where am I going from here? When that light bulb lights up suddenly to alert you, it is time for you to set up your priorities straight, in alignment to where you intend to go after life, if it is Christ's eternal life. In life, consciously or unconsciously, many people are viewing it through different perceptions, for example, some strive to gain prestige, affluence, wealth, riches or materialistic gains, while a few, do whatever they have to do to survive on earth; either way, know this, that Jesus has the master plan for your life, you are not lost among the crowd of people without any life purposes, but bound for eternity with him, therefore, allow him to walk with you in righteousness, it is worth your peace. Beloved, about the above text, Apostle Paul, encourages us to fight a good fight of faith; therefore, never engage in unnecessary strives against others, if you need to strive, strive with an excellent strive, within your callings, with a meaningful purpose as to why you need to persevere through it all and forbear from all odds, to attain eternal glory, that others will perceive and benefit from your works. Today, my question to you is, are you striving for the riches of this world? If you are, know this for a fact, that the love of money is the root of evil, cf. I Timothy 6:10, don't read me wrong, it is good to have money in the bank, but be careful how you go after it; if you strive for more and more of it, systematically, if care is not taken, you will be backsliding into your old self, from which you were redeemed by the sacred blood of Jesus Christ our Lord and Savior, setting yourself up with many sorrows. Love one another as you love yourself! Jesus is coming back again soon! Peace and Love be unto you! Amen and Amen! God bless you! (KJV.) Revelation 3:12 Him that overcometh will I make a pillar in the temple of my God, and he shall go no more out, and I will write upon him the name of my God, and the name of the city of my God, which is new Jerusalem, which cometh down out of heaven from my God: and I will write upon him, my new name. (5) Do ye think that the scripture saith in vain. The spirit that dwelleth in us lusteth to envy? EMBRACE LOVE, NEVER BE ENVIOUS! What is the real reason why Cain slaughtered his brother Abel? Many will say, it is because of siblings rivalry, envy or jealousy; per the dictionary definition of the three words; (a) rivalry is to compete for the same objective or the superiority in the same field; therefore, what we call the siblings rivalry is a contention, competition, negative reflective behavior, an implication that hearts are impure to strive against each other, therefore, before Cain accidentally killed his brother Abel, the negative spirits are already infiltrating the heart of man to lead him into ungodliness. Jealousy is to feel or show an envious attitude towards someone for what they have achieved or their advantages; therefore, in case you are jealous of someone, search your heart, for chances are an adverse spirit is controlling your emotions, to resentment a person who is blessed, instead of, read Romans 12:15; however, there is another side of the coin, so far as the spirit of jealousy is concerned; there are a few verses in the scriptures, referring to God as a jealous God; thus, it is in the sense of man, to be suspicious as God is, however, with God's jealousy, he requires that we honor him as a Father, who created and loves us, allow him to be in the first place in our lives. Cf. Exodus 34:14; therefore, jealousy is alright with a good intention, positive attitude, not with the negative emotions to act likewise. Envy is when there is a feeling of discontentment or resentful longing aroused by someone else's possession, qualities or a good fortune; envy is bitterness, an evil disease that can contaminant a heart to act unruly, do evil works; many times, when a person is envious, there is also a sense of striving to overpower their competitor, and a striving spirit, if you do not care, it can lead a person into devasting senseless behavior, to counteract against the person whom they view as a treat to their ways of doing things, act against them unjustly, at times, it can lead a person to perform an atrocity that they will regret later on when the evil spirit departs from them; therefore, never allow spirit of envy the chance to control your mindset and emotions to do evil works. Beloved, know this fact, that on a daily basis, there is a spiritual battle going on with you; that is, your spirit wars against your flesh, vice versa, cf. Galatians 5:17; therefore, always pray about things first before you follow your heart desires: addendum, envy is a waring spirit from the flesh, if it raises up its fires to furnace your heart against someone, quench it by force with the word of God, never give envy a chance to rule over your emotions, dance according to its tunes, resent anyone in that sense, instead rebuke the devil and he will flee away from you: therefore, the trivial question is, did Cain killed his brother Abel because of the siblings rivalry, envy, or jealous spirit? If it's puzzling to you, ask Jesus, he knows the right answer! (KJV.) Songs of Solomon 8:6 Set me as a seal upon thine heart, as a seal upon thine arm: for love is strong as death; jealousy is cruel as the grave: the coals thereof are coals of fire, which hath a most vehement flame. (7) Whereunto I am ordained a preacher, and an apostle. (I speak the truth in Christ and lie not;) a teacher of the Gentile in faith and verity. If you know who God created you to be, it is essential for you to be that person, why? Because it is what it is! You are designed with a particular purpose, to intertwine with others; therefore, the world needs you to play your most important part to his glory, never try to be somebody you were not meant to be, many times, if you are in a wrong profession, you will be successful alright, but might not be happy with what you do, nevertheless, continue to be a light to the world, you will be rewarded according to your works. As recorded in the scriptures, the profession of individuals matters to others, For example, in the garden of Eden, Cain, the son of Adam and Eve, was a tiller of the ground, a cultivator of the land, a farmer of crops; Abel, his brother, was a keeper of sheep, a shepherd of flocks, also, provided the meats for the household; cf. Genesis 4:2; therefore, they both fended for the family of Adam; another instance, Esau the son of Jacob was a cunning hunter, a man of the field, a person who stalks and traps edible animal species, his brother Jacob, was a plain man, dwelled in tents, he was a typical person who helped around the house, and knew how to cook very well; cf. Genesis 25:27; at the end of their lives, they both receive blessings; if you are a parent before you guide a child into taking up a future career path, pray about it first, let Jesus, tell you the reason why your child is on earth, study him/her carefully through the years, you will perceive the wisdom and gifts of his purposes to lead him/her aright. In this modernized world, there are several professions to choose from, to be what you will like to be in this world, by all means, be encouraged to do so; however, it is important to look before you leap, that is, to pray about your endeavor, asking the master creator about his plans for your life, it is easier to maneuver through life going through that spiritual channel; in my pre-teenage years, I expressed my desires to my mum that when I grew up, I would like to be a nurse; matter of fact, I enrolled in quite a few courses to become one, however, in the middle of becoming one, I realized that my interest was not in nursing, because I was too emotional, to poke a needle through a vein, could not view or touch a corpse without freaking, I was also spiritual, nursing is for me. However, I did not know that God, had a different plan for my life; therefore, it is never too late for anyone to step into his/her purpose, if you dare to do so. Beloved, this is a message for all to believe in themselves, doing what God had created them to do; there is a seed of purposes planted in every soul to nurture into maturity, utilize for the benefit of others; therefore, whether you are a banker or lawyer, an engineer or astronaut, a carpenter or housekeeper, etc., you are equally important to the welfare of others, believe in yourself, shine to lighten the world of darkness; in reference to the above text; Paul, the Apostle, was ordained as a preacher, and an apostle, he spoke the truth in Christ, and lie not to the people; therefore, if you are a good news preacher, you have an outstanding voice to minister the true principles of your faith and believes into the nations of this world, doing the will of Jesus Christ our Lord and Savior, be encouraged to be a truthful, shining example to others, Christ is in you! He that hath an ear let him hear what the Spirit saith unto the churches. Rev. 3:13. Peace and Love be unto you! God bless you! (KJV.) Proverbs 8:8 All the words of my mouth are in righteousness; there is nothing froward or perverse in them.